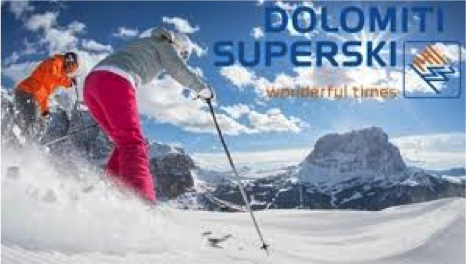 It’s off to the Italian Dolomites - Cortina is located in the heart of South Tyrol and is famous for its sunshine, fresh air and spectacular scenery. Spend a week exploring the charming village with its shops and boutiques and of course a World-class ski area. We’ll stay in a four star hotel in the village of Cortina, right on the promenade and within walking distance to ski lifts, shops, and apres ski. The hotel offers gourmet dining, a charming bar area, sauna, steam room, and all the amenities and service typical of a "Sud-Tyrolian" family hotel. Contact trip leaders Norman Michaels at nhmichaels@aol.com or Karen Thurston at karenjthurston@gmail.com to join this trip or for more information.